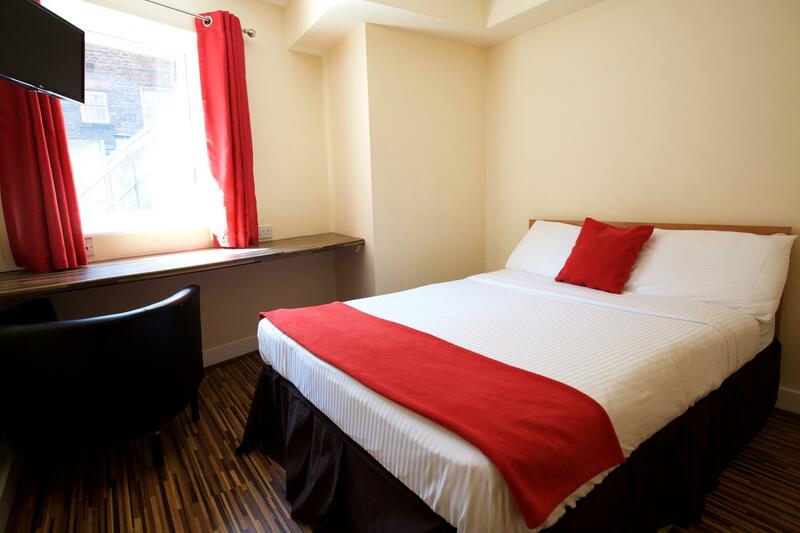 ﻿ The International Inn Backpackers Hostel Liverpool. JIMAT di Agoda.com! Ada soalan mengenai The International Inn Backpackers Hostel? Terletak pada kedudukan yang baik di kawasan budaya, beli-belah di bandar Liverpool, The International Inn Backpackers Hostel menyediakan tempat yang paling sesuai untuk anda berehat seketika dari kesibukan hari anda. Terletak hanya 0.5km dari pusat bandar, para tetamu berada di lokasi sesuai untuk menikmati tarikan dan aktiviti di sekitar bandar. Pelawat yang datang ke hotel boleh melawat tarikan utama di bandar ini seperti: Panggung Unity, Panggung Everyman, Reid of Liverpool. Di The International Inn Backpackers Hostel, perkhidmatan yang cemerlang dan kemudahan yang unggul menjadikan penginapan anda tidak dapat dilupakan. Pilihan kemudahan kelas atasan seperti Wi-Fi percuma semua bilik, meja depan 24 jam, simpanan bagasi, Wi-Fi di tempat awam, khidmat dobi boleh dinikmati di hotel. Hotel-hotel telah direka demi keselesaan dan memudahkan tetamu. Sebahagian bilik menyediakan linen, almari, bilik larangan merokok, pemanas, panggilan kejut. Sama ada anda peminat kecergasan atau hanya mencari cara untuk bersantai setelah seharian bekerja, anda akan dilayan oleh kemudahan rekreasi kelas tertinggi seperti meja biliard, bilik permainan. Kemudahan yang hebat dan lokasi yang sangat baik membuatkan The International Inn Backpackers Hostel menjadi asas yang sempurna untuk menikmati penginapan anda di Liverpool. We were there the weekend of Milan Vs Liverpool match. Woken up by banging of the floor upstairs or next door by a drunk man. I was there for a transit, before flying to Prague via Liverpool. The buses to the airport stop nearby there. Basic hostel. 10 bed with one toilet inside the dorm. Stayed there as a single occupant. Room 4. It was very basic, ceiling lamp falling down, toilet very dirty, bedding had hairs and make up, the room has no facilities, it felt like a box. Its also, very noisy so you won't be able to sleep as its located right on the street. I requested to be moved atleast one night so i could sleep and Room 20, apprently same price felt much more cosy, with a twlly, double bed and more spacious, although bedding was also dirty, unclean, full of hairs and lamp shades were hanging of the ceiling covered in years of dust. 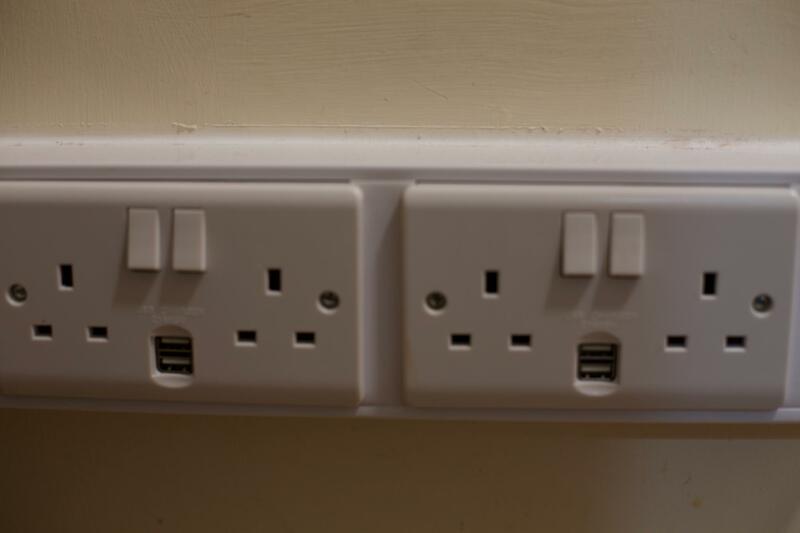 You just dont feel clean in this hostel. You always have to pay for a towel. Staff were not friendly especially the reception manager. One positive free coffee, tea and toast 24 hours. Stayed one night with a friend of mine. 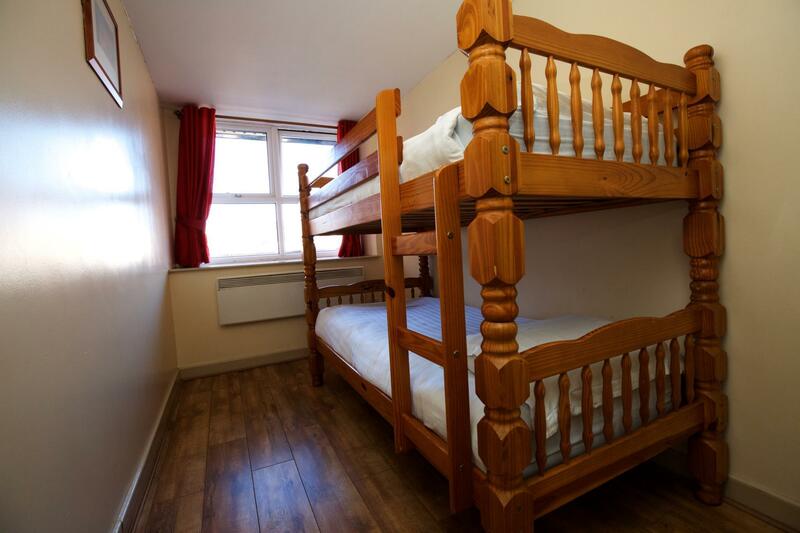 Double room, 40£ , cant go wrong. Close to seel st for a night out. Devastated not to get any "24/7 free toast", but other than that really couldnt fault it! Place to sleep is the least consideration for me while traveling. You get what you are paying for. The best thing about room sharing in this hostel is to get to know people from around the globe. We had a double standard room with on suite bathroom. The room was very basic but clean, which is all I ask really. We were only there one night so weren't bothered about extra comforts such as a television or kettle. We didn't have any food there so I can't comment on that. The staff were very friendly and welcoming. There seemed to be a good mix of bars near by. We were there for a wedding so didn't go out and about in the town so I can't really comment on how good the bars were. We were happy with staying there, not sure if I would do more than one or two nights with it being so basic. For one nights stay we were warm, comfortable and somewhere clean so I was happy and would recommend it. We stayed in the Cocoon and it's got everything you could ask for - tea/coffee facilities, iPod station, power shower and all very modern and fresh. Staff are also a credit to the hotel, giving us directions and ensuring we had everything we needed. Well done and thanks! The stay was ok. There was little to no social interaction. Me and my room-mate were the only two I actually saw in the entire hostel (albeit just a one night stay). Irish lady receptionist was lovely. i was slightly annoyed I had to take a top bunk when no one was actually in the bunk below me, even though it was unmade ...no one stayed there overnight. My top bunk was creeking and moaning, and the bunk was scarcely padded. It is what it is, the rating of the hostel definitely was far too high, but I got some sleep so it wasn't all bad. We stayed in cocoon, which is a Pod Hotel and the rooms were lovely, hotel standard, with a nice clean bathroom and towels! They were a bit small and warm with being underground but the staff were really nice and gave me a fan which kept us cool and we opened the door so the air con in the hall also kept us cool! The bed was really comfy and we were very surprised at how lovely the rooms were for the price! It was perfect for our girls night out and we would recommend staying here if you fancy a night out in Liverpool City Centre! Not too far to walk to concert square! El radiador no funcionaba, la ducha solo tuvo agua caliente el primer dia y el colchon era insufrible. El peor hostel en el que he estado nunca. Relacion calidad precio muy mala. Es una pena por que su situacion es muy centrica y el personal es bastante amable. La cama es lo peor, todos los muelles del colchón se te clavan en el cuerpo. Con diferencia la peor cama que he probado. La higiene tampoco era su fuerte... Y el baño no tiene toallas. Además tampoco limpian la habitación durante tu estancia. El hotel se llena de gente joven para salir de fiesta y puede ser un problema cuando llegan borrachos a las tantas de la madrugada. Por lo demás bien.